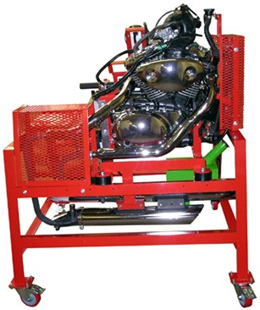 Self contained fully operational motorbike engine rigs. Complete with start, charge, fuel, air-intake, cooling and exhaust systems. The engine rigs are manufactured to replicate the engine bay of the donor bike.